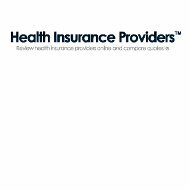 A review of American Idea Health Insurance Company leads to a company that sells a diverse package or insurance products. Going by the official title American Idea Life Insurance Company, they are a life, health, and accident insurance company. They have been selling insurance policies since 1981. Enter your zip code now to find a health insurance plan for you by comparing health insurance rates from several top companies. American Idea sells life, health, and accident insurance, however, their main emphasis and the product that brings in the most revenue for the company is life insurance. The company started out selling only life insurance in the state of Connecticut over 30 years ago, but has since grown to include other types of insurance and licenses in other states. While adding health and accident insurance has increased their client base, they are still known as a leader in the life insurance industry in the Northeast. This is due in part to their reputation of meeting life insurance agreements in a timely manner and with dignity, as well as their reputation of providing affordable policies even for families of lesser means. One way that American Idea does this, is by getting to know their clients. They meet either in person or over the phone with clients one-on-one to try to understand who the client is, why they want life insurance, and what they hope to accomplish by having a life insurance policy. Once this is understood, the right type of policy can be written and hopefully, there are no surprises. Not all people want a life insurance policy for the money. Many people are looking for peace of mind for themselves and their family members, as well as assurance that what they worked hard for will not be lost after their death. Allowing family members that are left behind to continue the same quality of life, is important for most people seeking a life insurance policy. American Idea has been reviewed by customers, the Better Business Bureau, and A.M. Best independent rating company. The majority of the reviews have been positive. The Better Business Bureau has no complaints, no justified complaints, and no resolved complaints on file. This means that no customers have filed complaints of any kind with the BBB. When it comes to customer reviews, American Idea has positive ratings in customer care, policy cost, claim payouts, and overall likeability. The areas that were weak were claim filing and Internet access. The American Idea website is difficult to find through a general search engine and once found the site itself is not very user-friendly according to customers. Claim filing goes hand-in-hand with this. Since the website is difficult to find and navigate, filing claims through the website is difficult as well. Though phone and fax claim service was rated high, Internet claim service received low ratings consistently. However, once a claim is filed, customers stated that payment is received in a timely manner. A.M. Best is an independent rating company that rates insurance companies on their financial stability. Though it is just a tool to be used by consumers and the insurance industry, it still paints of picture of the overall status of the company. American Idea has an A rating with A.M Best which is an excellent rating. Since American Idea Life Insurance Company sells more than one type of insurance, they offer a multi-policy discount to customers. This means that if you get all three types of insurance policies through America Idea, you will receive an overall discount that amounts to a good savings every year. It is more than you would receive if you only had one policy with the company. For life and health insurance, discounts are given for things like healthy lifestyle choices. This includes not smoking, being a healthy weight, and having a membership at a health or fitness center. They know that healthier individuals live longer and file less health insurance claims than individuals who are not healthy. Be sure to ask about what other discounts you might qualify for not matter what insurance company you go with. Some companies give discounts automatically, while others wait for customers to ask about them before giving the details. Comparing insurance rates is still one of the best ways to save money on monthly premiums. You can compare health insurance rates now by entering your zip code in the free box!